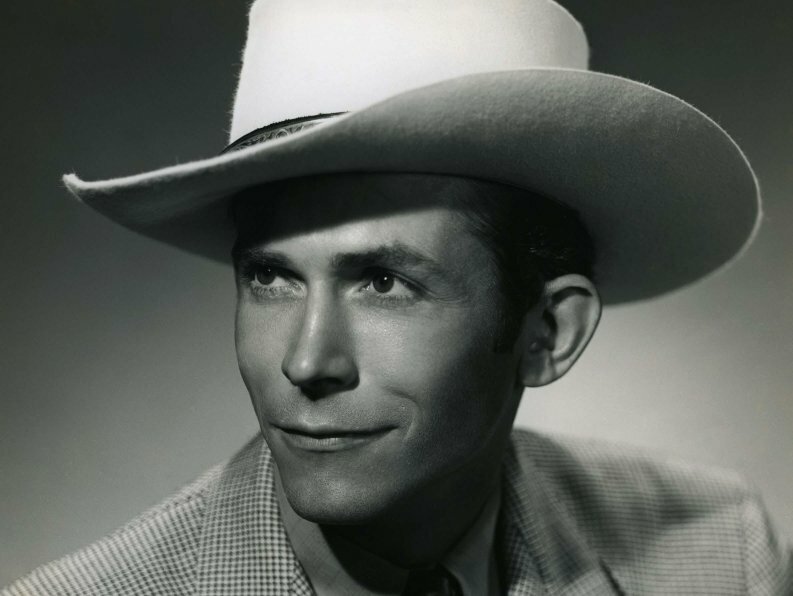 Hiram King “Hank” Williams, Sr. (September 17, 1923 – January 1, 1953) was an American singer-songwriter and musician. Regarded as one of the most significant and influential American singers and songwriters of the 20th century, Williams recorded 35 singles (five released posthumously) that would place in the Top 10 of the Billboard Country & Western Best Sellers chart, including 11 that ranked number one. Born in Mount Olive, Butler County, Alabama, Williams moved to Georgiana, where he met Rufus Payne, a black street performer who gave him guitar lessons in exchange for meals or money. Payne had a major influence on Williams’ later musical style, along with Roy Acuff and Ernest Tubb. During this time, Williams informally changed his name to Hank, believing it to be a better name for country music. He moved to Montgomery and his music career began there in 1937 when WSFA radio station producers hired him to perform and host a 15-minute program. He formed as backup the Drifting Cowboys band, which was managed by his mother, and dropped out of school to devote his time to his career. When several of his band members were conscripted into military service during World War II, Williams had trouble with their replacements and was dismissed by WSFA due to his alcoholism. Williams eventually married Audrey Sheppard, who managed the singer for nearly a decade. After recording “Never Again” and “Honky Tonkin'” with Sterling Records, he signed a contract with MGM Records. In 1948 he released “Move It on Over”, which became a hit, and also joined the Louisiana Hayride radio program. One year later, he released a cover of “Lovesick Blues”, which carried him into the mainstream of music. After an initial rejection, Williams joined the Grand Ole Opry. He was unable to read or notate music to any significant degree. Among the hits he wrote were “Your Cheatin’ Heart”, “Hey, Good Lookin'”, and “I’m So Lonesome I Could Cry”. Several years of back pain, alcoholism and prescription drug abuse severely deteriorated Williams’ health; he divorced Audrey and was dismissed by the Grand Ole Opry, which cited unreliability and frequent drunkenness. Williams died in the early morning hours of New Year’s Day in 1953 at the age of 29 from heart failure exacerbated by pills and alcohol.